If you are not completely satisfied with your purchase, you may be eligible to return the item for a refund or exchange. To return an item, please send us an e-mail at info@xzonelures.com explaining your reason for wanting to return the product. In the e-mail message please include your invoice number so that we can reference your original order properly. Once you’ve submitted your return request, you’ll receive an email confirmation with your return details. You are responsible for shipping the items back to X Zone Lures, including shipping fees. If you have multiple items to return, you may put them together in one box with the packing slip. Your refund will be issued after we receive your item(s) at the X Zone Lures warehouse. The way your refund is processed depends on your original payment method. Credit card refunds will be sent to the card-issuing bank within five business days of receipt of the returned package. Please contact the card-issuing bank with questions about when the credit will be posted to your account. PayPal refunds will be refunded through PayPal within five business days, to the PayPal address that you originally used to pay for the item. Cash and Check payments will be refunded in the form of a check from VRX Fishing Products Ltd, which will be mailed to your billing address within 14 calendar days of receipt of the returned package. 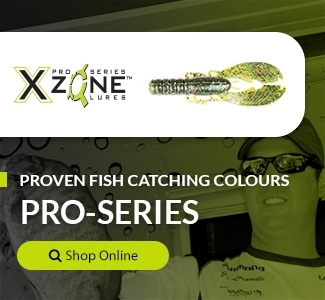 If you received the wrong product or it was damaged during shipping, please contact us at info@xzonelures.com or by calling 905-933-5450, so that we may rectify the situation in a timely manner for you. If you have any additional questions about our return and exchange policy, please contact the VRX Fishing team today.